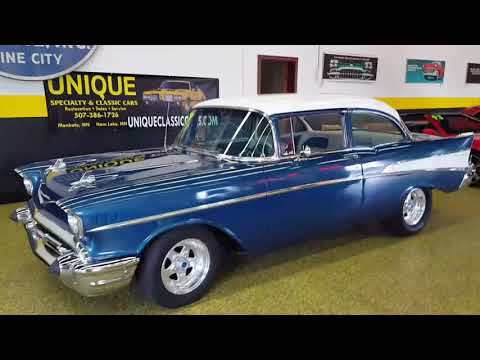 1957 Chevrolet 2dr Post, drives well! TRADES? This 1957 Chevrolet 150/210 Two Door is a very mechanically sound car. The Interior has been customized with Impala Buckets and center console. The engine is a small block with a 700R4 Automatic Overdrive transmission. It has power steering, power brakes, and working heat and defrost. The paint is starting to show its age but still looks great and is a driver quality car. You can drive this one anywhere. Call 507-386-1726 Offers and Trades Considered.